The stylish 175-room AC by Marriott adds a bit of European flair to the upscale West Shore District, putting visitors within easy reach of luxury shopping at International Plaza and Westshore Plaza, iconic Cigar City Brewing, major league sporting events at Raymond James Stadium and Steinbrenner Field, as well as Tampa International Airport. The Rocky Point area west of Tampa International Airport marked the arrival in January of The Godfrey Hotel & Cabanas Tampa, featuring 276 rooms each with private balconies and breathtaking views of Tampa Bay. The hotel includes an expansive waterfront deck and pier allowing access to the bay for boating, paddleboarding, jet-skiing and kayaking. Ben T. Davis Beach is a short walk away. Tampa Bay&apos;s former InterContinental hotel is now the new 325-room Westshore Grand, a Tribute Portfolio property in the heart of the upscale West Shore District. The hotel is steps from high-end shopping at Westshore Plaza, and short drive from International Plaza&apos;s luxury brands, downtown&apos;s popular attractions, and Hyde Park&apos;s refined shopping and dining experiences. The Westin Tampa Waterside is the $20 million reinvention of Tampa Bay&apos;s popular waterfront hotel, formerly the Westin Harbour Island. The new identity includes a new restaurant -- Blue Harbour -- offering popular beach-style cuisine and waterfront dining with a front-seat view of downtown&apos;s sparkling waterfront and nightly light show. Following an $11 million renovations, the former Crowne Plaza Hotel Tampa will reopen in mid-2019 as the Hotel Alba, a Tapestry by Hilton property. Tampa Marriott Waterside Hotel & Marina -- downtown&apos;s largest and most iconic hotel -- is completing a $40 million hotel-wide renovation of its rooms (including an entire floor of wellness rooms offering air filters and Vitamin C showers) and a new pool deck. A new restaurant, "Catch" is planned for later in 2018. Paired with a charter fishing company, the restaurant will prepare the results of the fishing expedition. 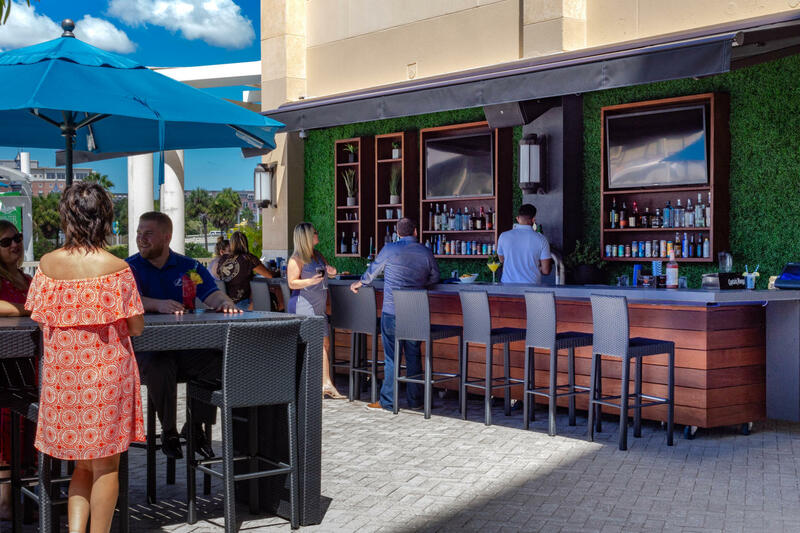 A hotel-wide remake of rooms, pool area, and lobby has given downtown&apos;s landmark Sheraton Tampa Riverwalk (right) a great new vibe to go with its plumb location in the center of everything. The property has easy access to the Tampa Riverwalk, which links downtown&apos;s most popular attractions like gems on a string. Visitors to the Residence Inn by Marriott Downtown will find a completely reimagined hotel, from the tile on the floors to the sheets on the beds to the paint on the facade. The adjoining Courtyard by Marriott Tampa Downtown will undergo a full renovation this summer. Two sleek new porte cocheres have made arriving at the Hilton Tampa Downtown quick and easy. After you settle into your room, swing by the beautifully redesigned rooftop pool and outdoor bar for a drink and a quick dip. New outdoor banquet space on the Poe Plaza pedestrian mall has created an exciting space for corporate gatherings or socializing with new friends. Steps from the Straz Center for the Performing Arts, the Barrymore Riverwalk has modernized 10 floors of rooms and will update the remainder this year. The renovations include a new grab-and-go "Berry Market." Construction is underway on the new Current a new boutique hotel in the Rocky Point district just west of Tampa International Airport. Tampa Bay&apos;s newest Autograph Collection by Marriott property will have 180 rooms, a beach and waterfront access for paddleboarding and other activities. 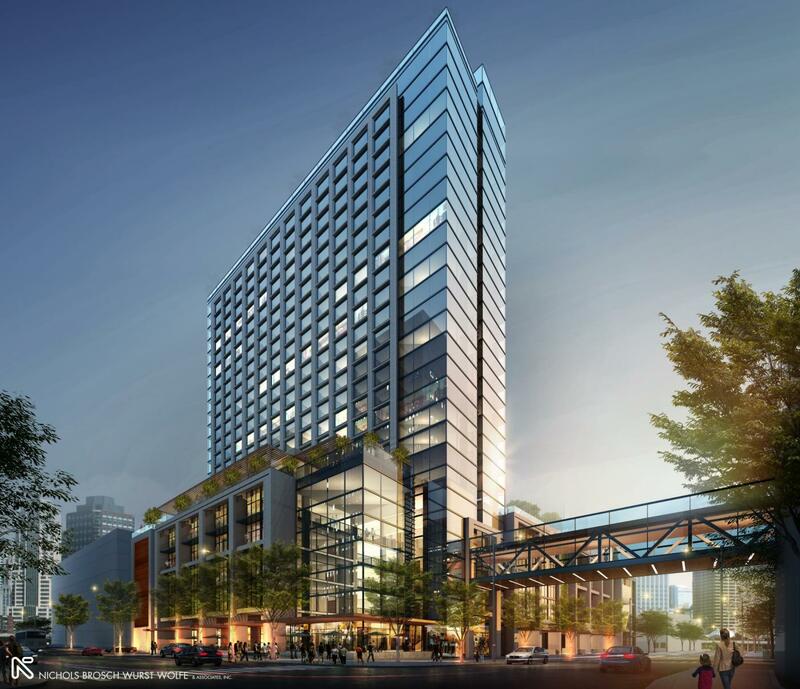 A quick stroll from downtown&apos;s towers, a new 213-room joint Hampton Inn/Home2Suites will open in 2019 in the trendy Channel District. The 213-room property will put guests three blocks from Port Tampa Bay&apos;s cruise terminals as well as The Florida Aquarium, hot new restaurants and a short streetcar ride for a night out in Ybor City, Tampa Bay&apos;s historic Latin Quarter. Part of developer Jeff Vinik&apos;s $3 billion redevelopment of former industrial property in downtown, the new 519-room JW Marriott Tampa (left) will dramatically expand Tampa Bay&apos;s capacity for conventions and high-end travelers. The 5-star hotel will include Tampa Bay&apos;s highest rooftop bar with sweeping view of downtown and the bay. Its 126,000 square feet of meeting space will supplement the 600,000-square-foot Tampa Convention Center across the street. Opening is set for 2020 -- just in time for Super Bowl LV! Also part of the massive Water Street neighborhood project, the new five-star, 173-room Tampa EDITION hotel is slated to open in early 2021 across the street from Amalie Arena. Tampa Bay joins a select group of communities around the world to welcome EDITION&apos;s brand of innovated design, vibrant public spaces and sophisticated programming. 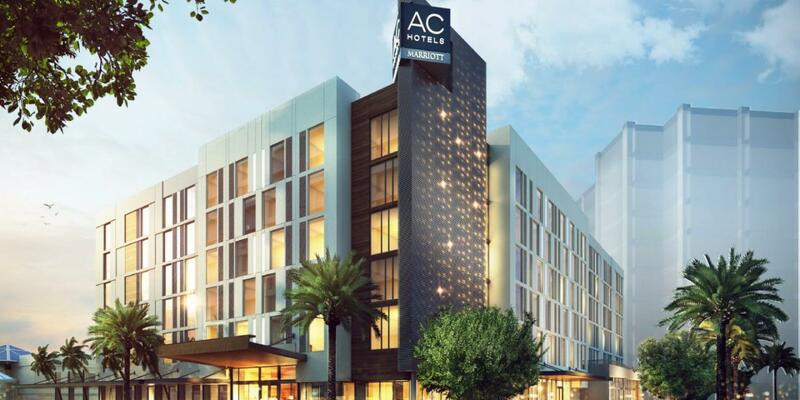 Chicago-based Aparium Hotel Group, which has made a name for itself converting historic buildings into hotels, will develop a $52 million boutique hotel in Ybor City, Tampa Bay&apos;s historic Latin Quarter. The project will incorporate one of Ybor City&apos;s oldest buildings in its design. The look will be classic Ybor City, with iron balconies overlooking the street.